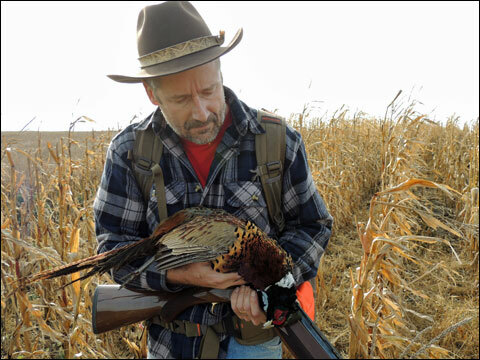 The rooster pheasant brings a lot of hunters to South Dakota, but there are prairie grouse to chase as well, adding a different dimension to the hunt. A bull bellowed, a cow shook water out of her coat. A coyote slunk away with nary a glance at the buffalo, his nose close to the ground, on the hunt for an easier meal. In South Dakota’s northeast corner, there is an untilled landscape of 135,000 acres that extends across the state line into North Dakota, a remnant of the grasslands that once covered a fifth of the Continent. The Nature Conservancy manages part of this landscape on the South Dakota side. They call it the Samuel H. Ordway, Jr. Memorial Preserve, a 7,800-acre expanse of prairie that is the Conservancy’s largest preserve in South Dakota. It’s named in honor of the lawyer, author and noted conservationist. Ten miles west of Leola and 50 miles northwest of Aberdeen, the The Nature Conservancy preserves 300 plant species including various tall grasses, short grasses and myriad wildflowers. Casey Weismantel and Gretchen start into the prairie on walk-in Nature Conservancy land. Early in the day we hunted on private land walk-in areas, following directions on an app that our host, Casey Weismantel, had downloaded to his iPhone. 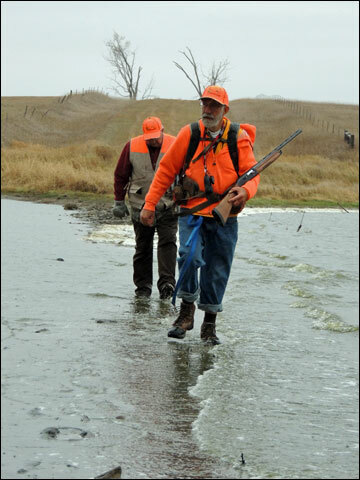 The SDGFP Hunt/Fish application lets users view the hunting and fishing regulations, apply for licenses to hunt and fish in South Dakota, reserve a campsite in one of the state parks, and view maps of public hunting and fishing opportunities. For more information about it visit https://goo.gl/9McjU7. Using the app we flushed several roosters and all but one eluded us. When the rain started, a narrow strip of shallows between the lakes offered a shortcut back to the truck. Simultaneously, Weismantel was also watching a system of low-pressure storm cells that were bringing pounding rain to the prairie. When a cloudburst hit us at lunch time, we drove to the nearest town and took refuge in a small café. Part of our group, soaked to the bone, was ready to repair to the hotel for changes of clothes and drinks at the bar. Weismantel and I opted to keep hunting. Late in the day, with still only one wild rooster to show for our efforts, we found ourselves close to The Nature Conservancy outpost. 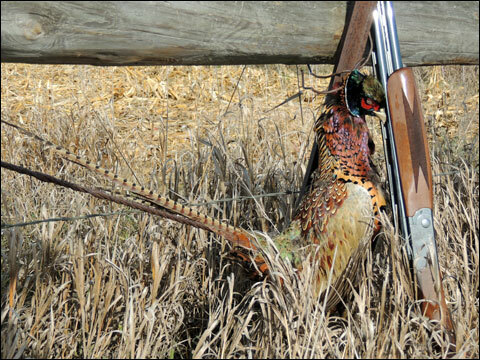 The author admires a wild South Dakota rooster taken on private land. When we told the manager we were exploring public land opportunities and hoped to bump into sharptails, he remembered a cowboy had reported a few birds near a water tank in one corner of the preserve. “Head out to the highway and turn . . . ,” he began. We feverishly tried to commit the details to memory. Back in Weismantel’s F-150, we rumbled back down the gravel driveway and out to the highway. What did we have to lose? At least the calories we had consumed at lunch. 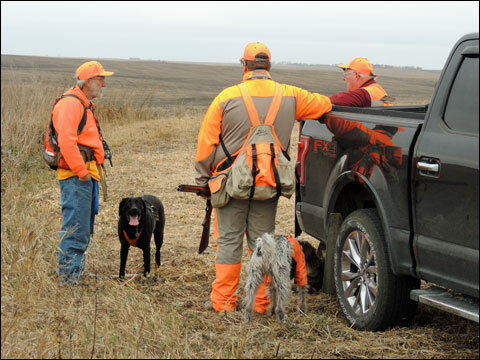 Eighty-five thousand hunters from out of state come to South Dakota every year, to hit the fields with 65,000 resident hunters. Most of that effort is aimed directly at the Chinese rooster. And that’s just fine with the relatively small number of hunters that chase prairie chickens and sharp-tailed grouse. Back at the truck after a long walk. According to the most recent survey, in 2015 there were a projected 7,866 resident prairie grouse hunters and 5,032 hunters from out of state. Residents averaged a bit less than one bird per day with 4.4 birds for 4.72 days hunted. 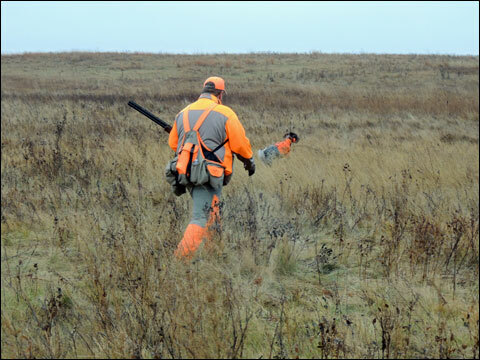 Nonresident hunters averaged 3.08 birds for 4.05 days hunted. The traveling hunter should try to beat the statewide average. When I perused the statistics (available at http://gfp.sd.gov/hunting/harvest/reports/PrairieGrouse.pdf) I looked for the counties that produced more than four birds per hunter. According to the table, the top counties, that produced the most birds per hunter day, were Davison, Buffalo, Corson, Dewey, Haakon, Harding, Mellette, Perkins, Union and Ziebach. It would have been easy for our team of two hunters and one dog to beat that old statewide average, but we ran smack into that old hard truth about prairie grouse – the hunt itself returns more in exercise than it does in protein. We located the corner of The Nature Conservancy land where the birds had last been seen. We parked at the fence and walked through a gate. Gretchen, our hard-working German wirehair, sniffed out where the birds had been earlier that day. 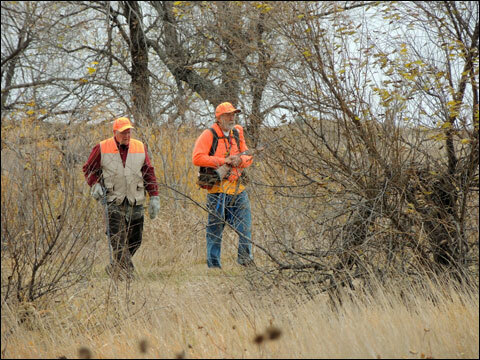 Ron Kerr and Dave Vedder walk through a corner of farmland left wild for the sake of wildlife. After we had circled through a square mile of habitat, we made our way back to the F-150 and started back down the dirt road toward the pavement. That was when we startled the first flock of sharptails. They had been feeding on private land adjacent to the The Nature Conservancy preserve. The second group, which probably held more than 30 birds, flew right over the truck. The birds sailed on the prairie wind and we saw them go to ground hundreds of yards inside the fence where they would roost on the same Nature Conservancy ground we had just swept with the dog. That's the way it works most of the time. Besides, we told ourselves, the exercise was good for us. Next time we bring binoculars and try to spot the birds feeding on private land. We know where they’ll head to roost and water before sunset. We'll loaf around till the birds show up and send the dog to find them. And we'll beat that statewide average. It’ll be good exercise, whatever happens. Gary Lewis is the host of Frontier Unlimited and author of John Nosler – Going Ballistic, Black Bear Hunting, Hunting Oregon and other titles. Contact Lewis at www.GaryLewisOutdoors.com.